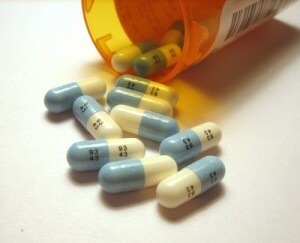 Attorney McShane has handled several DUI prescription drug cases. One trend I that have noticed here in Pennsylvania is an increase in drug related DUI arrests and in particular arrest related to prescription drugs. We have discussed DUI prescription drugs before in our post: DUI Arrests Purposely Targeting Innocent People. What becomes bizarre is that if you are convicted of a DUID and it is a second or subsequent offense, you have to get an alcohol interlock in your car? What sort of sense does that make? It is important to find an attorney who has the knowledge and experience to fight DUI prescription drug cases. In addition to conducting dozens of lectures on the subject of DUI drugs, Attorney Justin McShane has publish several academic papers calling into question the Drug Recognition Expert protocol which is the procedure used to test DUI drug cases. If you are charged with a DUI prescription drug offense in Central Pennsylvania, please call The McShane Firm for a free consultation at 1-866-MCSHANE.